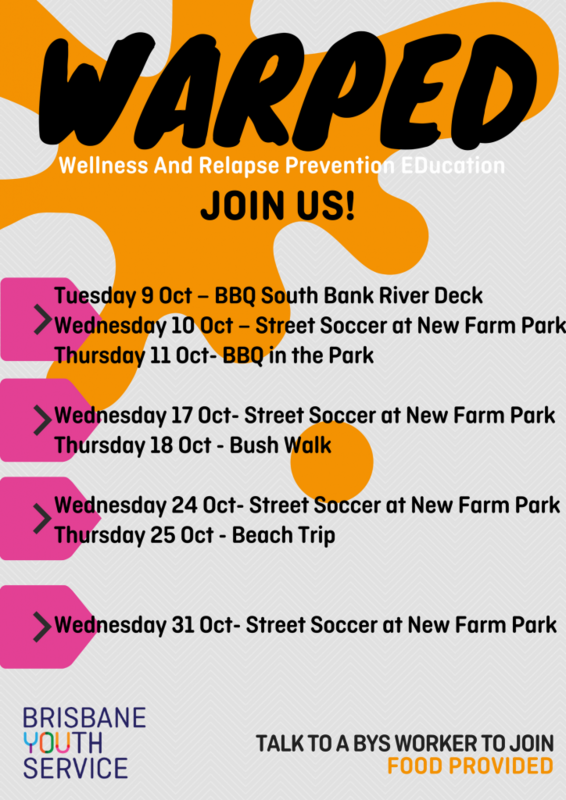 WARPED is a Brisbane Youth Service group for young people who have made positive changes to their substance use, or are finding it difficult to maintain the changes they have made with their substance use due to their social networks and/or cravings. To access the group, a young person can self-refer over the phone or by attending BYS as walk-in between 1-3pm Monday – Friday. The young person will then meet with an AOD worker to complete a group intake. Young people do not need to attend every group; once they have completed intake, they can access as they wish.